All THE OAKS OF WESTCREEK homes currently listed for sale in San Antonio as of 04/20/2019 are shown below. You can change the search criteria at any time by pressing the 'Change Search' button below. "Beautiful and spacious 4bed/2bath with an open floor plan, open kitchen, two seperate eating areas, wooden Pergola back deck with lighting for evening entertaining. New stainless steel appliances, New roof, New Water Heater, new tile flooring, new fixtures & faucets, and ceiling fans in rooms. Just needs a bit of TLC inside due to being vacant for a little over a month. 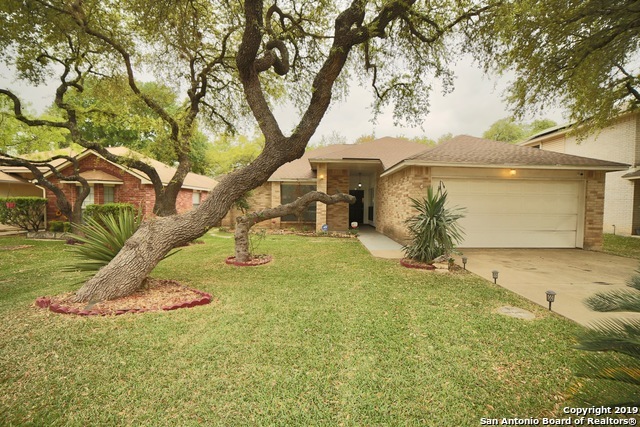 Great home in an area close to lackland, family entertainment, and shopping centers. Come see home before it is gone." "Freshly painted 4 Bedroom, 2 1/2 Bath, 2 car garage * Huge master down with multiple closets* * Formal Dining * Family room down and media room up * Eat-in kitchen overlooks covered patio * Breakfast bar * Ceramic tile in entry, kitchen, dining. * Ceiling fans throughout * ac replaced 2018 * HOA amenities include pool, clubhouse, tennis courts, park/playground.jogging trails, and BBQ/Grill."